Mavado's latest VP Records album Mr Brooks . A Better Tomorrow raced to the top of Billboard's Reggae Album chart. The album, which was released via iTunes more than a week ago, was officially released on compact disc earlier this week. 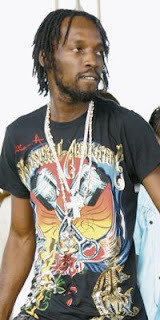 The album contains some of Mavado's recent chart hits as well as a few exclusive tracks. Among the more familiar tracks are Don't Worry, On the Rock and the recent Billboard R&B singles chart hit I'm Special. Mr Brooks..A Better Tomorrow features a plethora of dancehall producers including Linton 'TJ' White, Daseca and Trevor 'BabyG' James. Mavado's debut album Gangster for Life: The Symphony of David Brooks, stalled at number six on Billboard's Reggae Album chart in 2007. The set watered out at number 84 on Billboard's R&B Hip Hop album chart.